Toxicogenomics is an emerging field defined by the adaptation and application of functional genomics techniques to toxicology. Recent advances in generating and analyzing multi-omics data have facilitated the development of toxicogenomics to provide novel answers to many toxicology-related questions. In this chapter, we discuss five recent toxicogenomics studies presenting complementary strategies for mining genome-wide molecular profiling data after exposure of cells to chemicals in vitro. 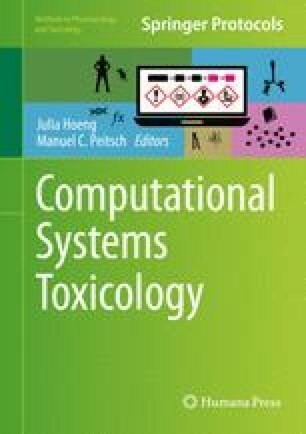 The case studies cover various areas of systems toxicology and pharmacogenomics and illustrate the rapid evolution of toxicogenomics, including computational methods for the analysis, integration, and interpretation of omics data. This work was financially supported by the Swiss National Science Foundation (Sinergia project 136247).